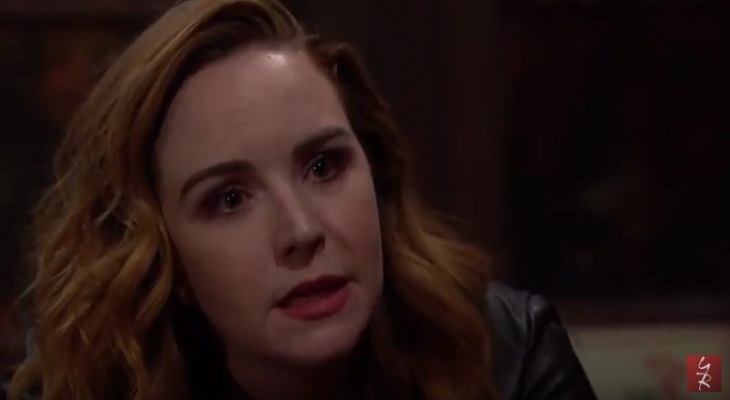 “The Young and the Restless” spoilers for Thursday, November 2, tease that Mattie (Lexie Stevenson) will make a shocking discovery. At The Underground, Mattie freaks over the fire that’s rapidly spreading. Reed (Tristan Lake Leabu) calls Billy (Jason Thompson) with the startling news, so Billy promises he’ll be right over. Mattie uses her phone to seek assistance as well. Charlie (Noah Alexander Gerry) calls Cane (Daniel Goddard), who’s fallen asleep at the Chancellor mansion. The teen leaves a frantic message for his father. Charlie insists that they need to head for the exit. They realize the door is stuck and too hot to handle. Smoke fills the building as the firefighters approach. Cane eventually shows up and has to be physically restrained. He calls Mattie and promises that help’s coming soon. Meanwhile, Billy ends up searching for the teens himself. He calls their names and Reed manages to let Billy know where they are. Related: The Young and the Restless (YR) Poll: How Will Zack Be Written Out? Billy makes sure Mattie, Charlie and Reed get out OK, but he struggles in the smoke. Cane shares a happy reunion with his kids and learns Billy rescued them. As part of the building collapses, Cane hears that Billy’s still inside. At the athletic club, Jordan (Darnell Kirkwood) mentions the date Hilary (Mishael Morgan) was supposed to give him. Hilary suggests that she doesn’t owe Jordan anything, especially since she won’t be anyone’s second choice. She notes that Jordan only set up their date because Lily (Christel Khalil) rejected him. Jordan doesn’t see the problem with keeping his options open. He gets into a heated argument with Hilary and finally declares that she’s a joke. Jordan contends that Hilary’s all hairspray and nail tips, so she tosses a drink in his face. They fume as they part ways. At Sharon’s (Sharon Case) place, she picks up on Mariah’s (Camryn Grimes) glum mood. Sharon suspects that this involves relationship problems. She wonders if the excitement with Devon (Bryton James) is gone, but Mariah clarifies that this is more of an identity issue. Mariah gets emotional as she alludes to how she’s been pretending. She admits that she’s finally found someone that excites her and it’s a female. Sharon is accepting of that and wonders who this woman is. She’s taken aback when Mariah confesses that she has feelings for Tessa (Cait Fairbanks) and once kissed her. They acknowledge the tricky situation with Noah (Robert Adamson) and how Mariah didn’t plan on this. Sharon determines that Mariah shouldn’t hide her feelings or who she is. Mariah announces that she’s going to tell Tessa everything, so she heads off. At Crimson Lights, Mariah spots Tessa on the patio and pushes for an honest discussion. She brings up the kiss and how much it meant to her. Mariah wants to know if it meant something to Tessa as well. Tessa comes clean about it being special to her, but she can’t past all the complications. Mariah doesn’t agree when Tessa argues that there’s only friendship between them now. She doesn’t feel the same way about her other friends. Tessa refuses to offer more, which frustrates Mariah. This isn’t the role she wants Tessa to have in her life. As Mariah rushes off, Tessa breaks down in tears. It sounds like a gripping Y&R episode’s on the way. We’ll give you updates as other “Young and the Restless” details and rumors emerge. Stay tuned to see what’s ahead on the CBS soap.